When a wrongful death occurs, it’s incredibly sad. Someone is cut down before their time due to the negligence of someone else. Nothing can make up for that. The legal system can try. Getting the best California Injury Law Firm on your side is the one chance to get survivors and family members some money. While it can’t be a substitute for a life, it can be something. It can help to pay for the bills that are likely to accrue, even if it can never be a living, breathing person. The tragedy of wrongful death never really goes away. However, it can give survivors a bit of peace to prove that their loved one was taken due to the negligence of someone else. To prove that, the plaintiff must show that the victim was owed a “duty of care” from the defendant. As this duty was failed by the defendant, it lead to the loved one’s death. That’s one of the many reasons it becomes so critical to have fantastic lawyers on your side: they can argue this. They can do so even if the negligent have a great legal team of their own. To make things even worse, a wrongful death can lead to the survivors having to pay a host of bills. Funeral costs, medical care and so many other things they will be on the hook for financially. Of course, very few families are prepared to pay these kinds of fees unexpectedly. A law firm, like the LA Injury Group, can work to help you win damages. Those damages can be used to pay for all of the bills and costs that arrive when a loved one passes unexpectedly. Lost wages are one of the more insidious things about a wrongful death. Your loved one that was taken from you had a lot left in their lives. Among the things they had left, one of them was working. The surviving family members expected an amount of money from the deceased’s job. Now, those wages are gone. Hence, it’s more critical than ever to have a legal team on your case. They can seek to recoup those lost wages and so much more. When a family goes through the unexpected death of a loved one, their pain and suffering is immense and immeasurable. In the immediate aftermath, they’re going to want the money from those responsible to pay their bills and move on with their loves as best they can, yes. However, they also need more than that, particularly emotionally. When a legal team wins a case like this, it also makes the guilt face the consequences of their actions and take responsibility. They learn that they should never do this again and they can’t get away with it. The LA Injury Group is ready to take the case of your loved one’s passing. They’ve argued cases like these for decades, so they can help you begin to move on by winning you the money you deserve. 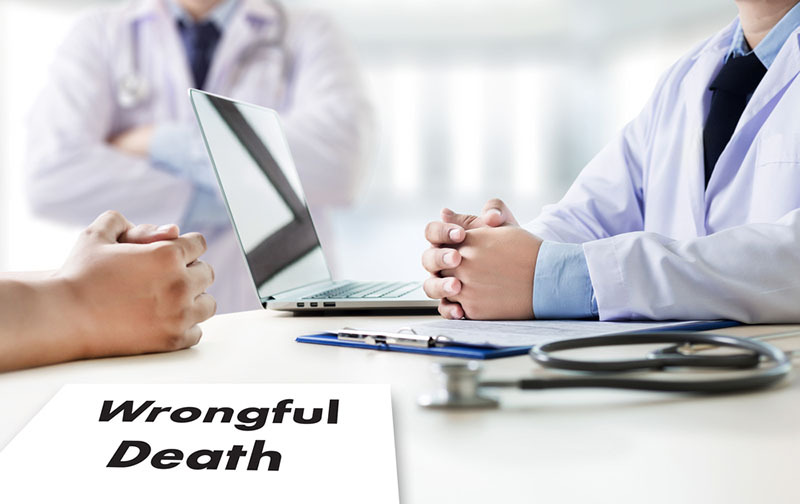 Contact the best california injury law firm through their website or at (888) 500-1006 in the event of wrongful death.